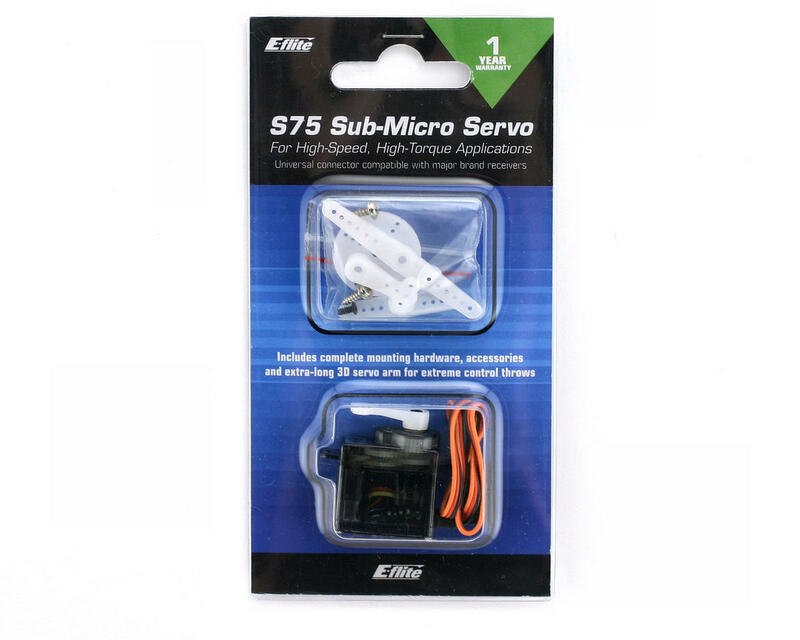 This is the E-flite 7.5 Gram Sub-Micro S75 Servo. The S75 is housed in an attractive transparent grey case and features a universal connector compatible with all major brand receivers. The S75 offers superior speed, torque, and precision for its class, and includes complete mounting hardware and an assortment of servo arms, including an extra-long 3D arm. 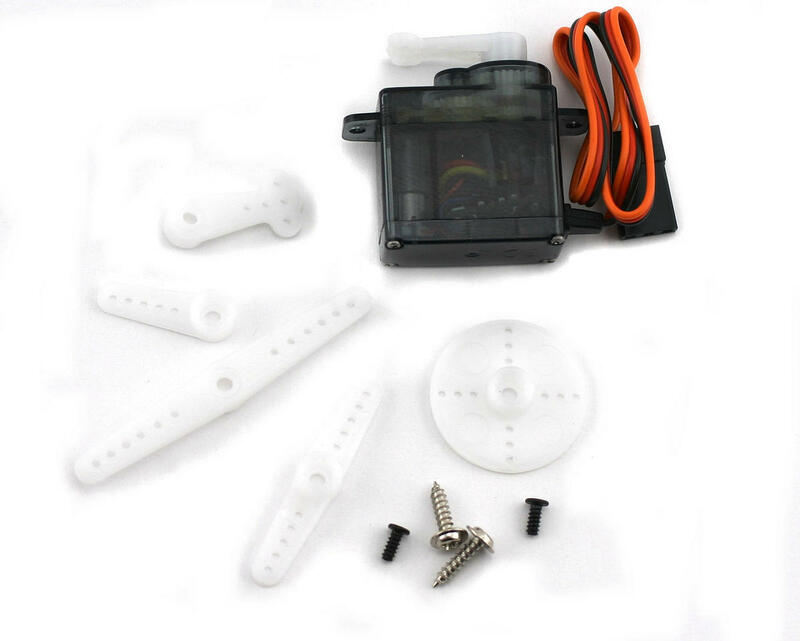 In addition to use in electric aircraft, the S75 is also perfect for applications including micro helicopters like the Blade CP and Blade CP Pro, and 1/18th scale onroad and offroad cars and trucks like the Losi Mini-T.